Ludacris will be joined by first-time host and international recording artist Ciara. It was also announced that this year's award show will move to the brand new T-Mobile Arena in Las Vegas. The "2016 Billboard Music Awards" will be the first non-Pay-Per-View live broadcast event from the new venue, which officially opened on Wednesday, April 6, 2016. The "2016 Billboard Music Awards" is set to return to ABC and will broadcast live on Sunday, May 22 (8:00-11:00 p.m. EDT). This year's show will showcase big performances, unexpected collaborations and pop-culture moments that will have everyone talking. 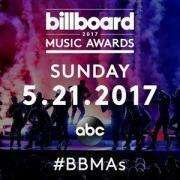 The annual Billboard Music Awards take place at the T-Mobile Arena in Las Vegas. The ceremony honors artists for the fan support they've garnered based on key fan interactions with music -- including sales and radio airplay. 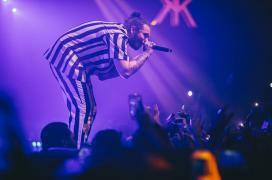 Drake and The Chainsmokers lead the pack with 22 nominations each, followed by Twenty One Pilots with 17, Rihanna with 14, and The Weeknd with 13. Scheduled performers include Bruno Mars, Camila Cabello, Celine Dion, Drake, Ed Sheeran, Florida Georgia Line, Imagine Dragons, John Legend, Lorde, Nicki Minaj, Miley Cyrus, and Cher.